Helping you protect your jewelry investment is part of our job. At Burkes Fine Jewelers, we appraise jewelry, diamonds and gemstones on the premises. 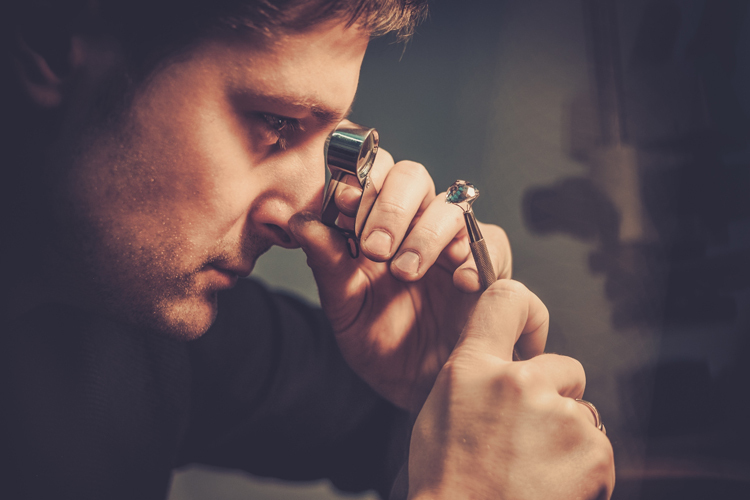 Our Certified Gemologist will provide photographs of your pieces, as well as a certified copy of your item’s description. And when you purchase jewelry from us, we will be glad to provide an appraisal upon request. Is there anything I should bring with the jewelry? If you have a previous appraisal or a certificate from an independent laboratory, it is important that you bring this information with you. This will expedite the process in your interest, and could add to the accuracy of the appraisal. Can I wait for the jewelry appraisal report? We examine your jewelry while you wait or you can drop it off and we secure it in our safe. The appraisal report and photograph will follow in the mail within 2 weeks. It is $80 per piece however pieces with an abundant amount of stones may cost more. Our appraiser will be able to tell you once you're here.